Book car rental Lorient at the cheapest prices ever by completing the search form! Explore the most famous French port city on a comfortable and stylish vehicle with car rental Lorient! Exploring Lorient by car is a real pleasure! Especially if you have a cheap car rental vehicle for it! All you need is click on our form and choose a vehicle you like. Next step – you get the lowest price for it. How we do it? We make instant car rental comparison of the most reliable car rental suppliers in France and save your time! Getting the cheapest solution at car rental Lorient online you save your money for other pleasant things. Forget about car rental hassle and leave it to us. Car rental Lorient – the best vehicle for the best price! 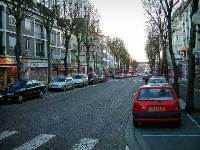 Also we prepared for you a list of Lorient car rental locations plus Car Rental Lorient - Must Know info and a list of Places to Visit in Lorient! 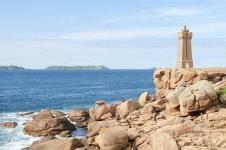 Do not miss the opportunity to explore Lorient - the fourth largest city in Brittany. 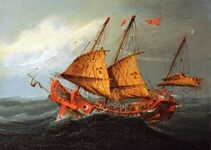 Lorient was founded in the mid-17 century and has long served as a basic commercial port of the country. Maybe today it could be the major western "sea gate" of France, but the local port was destroyed during World War II. But now the port of Lorient is a symbolic place for the city: it not only employs many local residents but is also a main tourist spot. Since 1971 there are festivals of ethnic music in Lorient which attract the best artists and loyal audience. No less interesting the local museums are. Car rental Lorient is your chance to have the brightest experience in this city! In cities you must drive not faster than 50 km/h, in the countryside – not more than 90 km/h, and you can speed up to 110 km/h on the highways. For the drivers to slow down in residential areas you’ll see a big number of "speed bumps". Traffic signals are usually located on the right-hand side, on the sidewalk, instead of overhead in the middle. It’s illegal to overtake on an inside lane unless traffic is being channeled in a different direction. Public transportation has the advantage in France, so usage of the dedicated lane for buses is strictly prohibited. 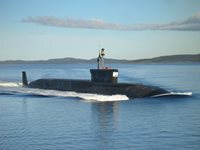 The museum dedicated to Eric Tabarly was recently opened on the basis of the submarine fleet. Museum offers an exhibition where you can experience all the thrill of sailing. Also there is a documentation center containing valuable archives of the great sailors, as well as running a very pleasant restaurant, L'Tle. So we advise you to start your exploring the city with this spot which is easy to reach using a car rental vehicle. 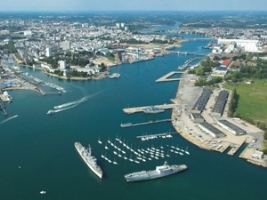 Lorient is a marine city, so begin with visiting a marine museum! The sights of Lorient in addition to the museums include many houses carefully restored after the war which are protected from the entrance to the bay by Gruat Island, a picturesque and very popular among the lovers of good recreation. 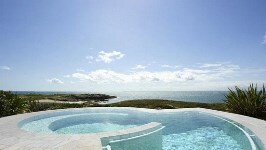 After long trips about the town on a car rental vehicle visit the island to relax in silence! Today the ancient maritime glory of Lorient is maintained in the Museum of Maritime Affairs and Oceanography organized in an old fishing trawler "La Thalassa" and the nuclear submarine base of the country. For a long time Lorient had been one of the richest ports in France – don’t miss your chance to discover all its secrets! Drive your car rental vehicle to this unique museum and you won’t regret about it! If you drive your car rental vehicle to the east out of the city, you’ll find the neighboring port city of Quiberon located on Lorient peninsula. This place is famous for "Thalassa Quiberon" - a large thalassotherapy center with magnificent beaches, parks, and the departure point for tourists to the wild coast of Côte Sauvage resorts and islands of Belle-Ile. Take advantage of your car rental vehicle and see everything Lorient and the surroundings have got to show you! RentalCars24h.com offers you reliable car rental Lorient services that will help you to feel free and independent when moving around the town. Providing best online prices for car hire Lorient services, RentalCars24h.com allows you to save money each time when you rent a car in Lorient.